Grab your kleenex tissues and some popcorn with a glass or bottle of wine. Because the new preview for ” I am Cait’ ” documentary is so touching. In the promo video Caitlyn Jenner Formally known as Bruce Jenner is questioning and answering why he should do a show of his now her transformation and her daily life as a new woman. How she didn’t feel she fit in with the outside world how she didnt feel normal. 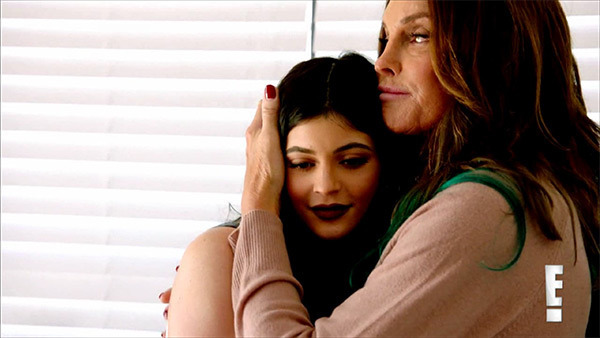 In her brand new life incorporating her daughter Kylie is shown in a emotional scene with her transgendered father. She talks about her first time having someone come in and do her makeup professionally for her and the new experiences she never understood as a man that women go thru for their appearance. Caitlyn says she will be now doing things they’ve never done before “We’re going to talk about everything,” Cailtyn Jenner says in the new promo for I Am Cait. “We’re going to do a lot of fun things for the first time. We’re going to go shopping for the first time. Maybe even some boy stuff, like ride a motorcycle—because girls do that too!” Bruce seems the most happy we’ve seen him in years. The Show Will air on E! Sunday July 26th at 8/7 c Check Out The Video Below!